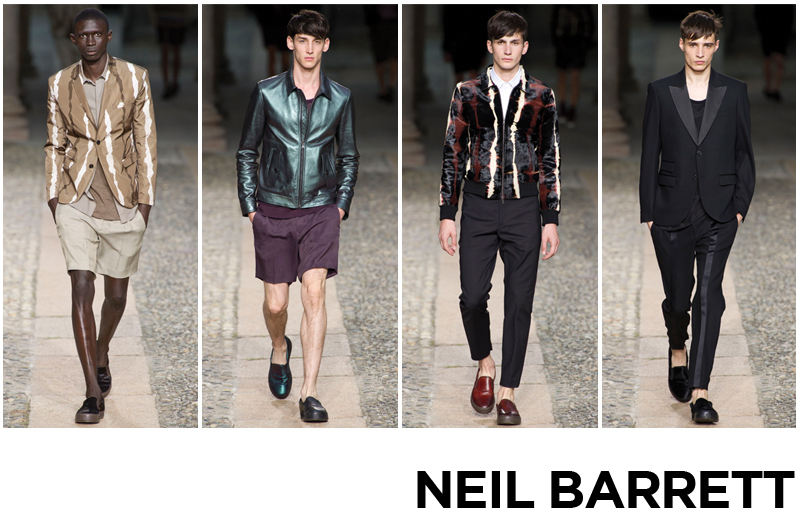 Neil Barrett’s Spring Summer 2013 collection embodied the athletic, manly man. Baseball jerseys, slouchy sweatshirts, and baggy shorts gave the show a relaxed youthful feel. Barrett chose a palette of rich shades of indigo and purple, earthy browns and deep blacks. The degraded pinstripe prints added texture and depth to suits and shirts. Highlights from the show included lush pony hair slip-ons and iridescent leather jackets, echoing the metallic trend that’s swept menswear collections for Summer 2013. Tailored trousers with satin stripes on the front rather than on the side breathed new life into classic tuxedo trousers. 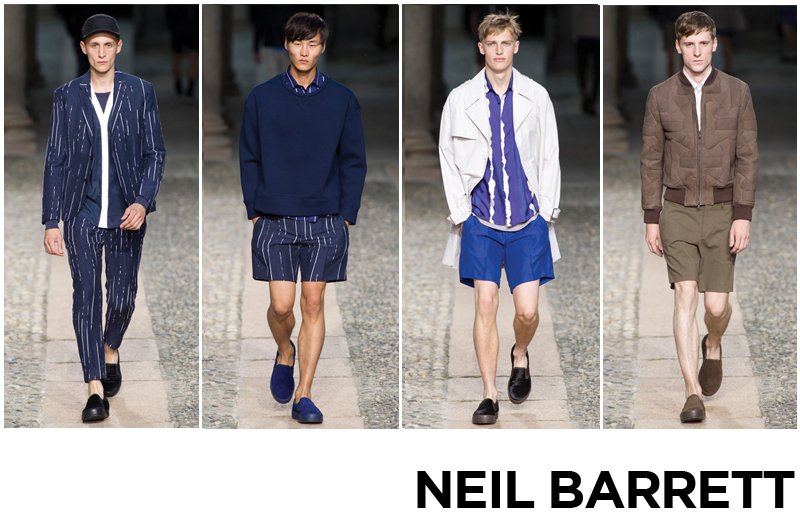 Barrett’s collection again proved that he’s got his finger on the pulse of the sports luxe trend.